Working closely together with our machining operation, fabrication handles a wide variety of projects. 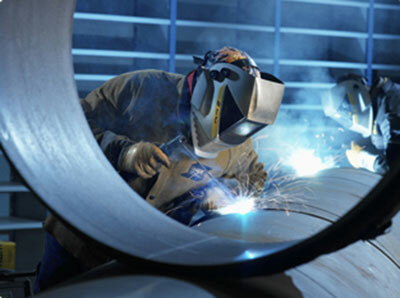 Johnson Enterprises is a CWB (Canadian Welding Bureau) certified welding facility. Our experience fabricating for many different industries makes us diversified and knowledgeable. This gives our clients the Piece of mind that their Project will be processed and executed not only in a timely manner but complying with the requirements given. Johnson has extensive experience with 3rd party inspecting such as DNV, Visual Inspection, Magnetic Particle, Ultrasonic Inspection, Radiographic Inspection. We also can look after any outside services that may be required. We are very customer driven. At Johnson we offer full binder packages consisting of MTR’s, Dimensional check sheets, 3rd party inspection reports, C of C’s, Heat treat charts etc. this allows Full Traceability for the client.